Augmented reality technology has improved dramatically and has seen massive growth in recent years. More and more advertisers are making use of AR to create original and engaging campaigns. 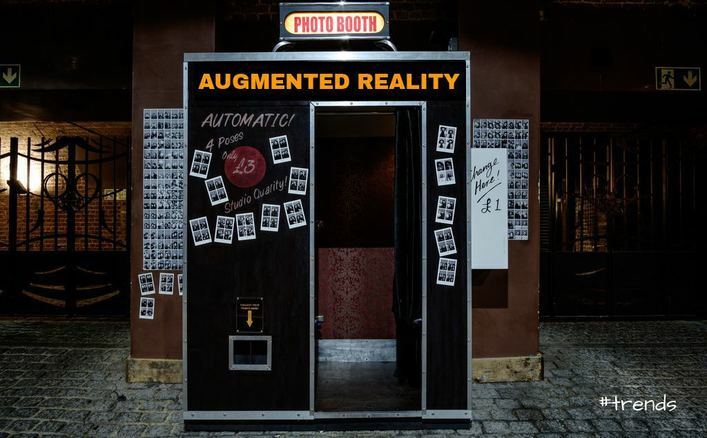 AR can be found in a range of advertising formats, namely, apps, interactive magazines, bus shelters, digital billboards, AR art exhibitions and of course, augmented reality photo booths or ‘magic mirror photo booths’ as people like to call them. What’s an AR mirror photo booth? It’s a digital age photo booth that looks and works like a full length mirror. Powered by augmented reality software it can place the user in a virtual setting, viewed on a screen. The technology also allows the user to interact and react to the actions via the touch screen. In technical terms, these booths are made up of a combination of hardware (cameras, screens) and software like face detection and tracking, motion detectors, and augmented reality to create a uniquely immersive experience and colorful animations. The idea is simple, the tech is evolving, the user experience is engaging, and the brand connection is unforgettable. The widespread use of selfie filters found in popular face filter apps like Snapchat has led consumers to be more open to and even welcome AR experiences. The number of mobile AR users alone is estimated to reach 200 million by 2020. The development of a selfie mirror booth powered by AR made sense for an even more appealing experience. Out of home advertising campaigns are being reinvented by the use of this novel tech in ways that many would think to be science fiction. The practical application of the technology in OOH advertising can be found in virtual fitting rooms, AR exhibition stands and even augmented reality mirrors. More examples of mirror photo booth concepts include virtual fitting room by Topshop, Sephora augmented reality mirror, Pepsi AR bus shelter to name but a few. How do mirror photo booths work? It all seems magical for the user. People just place themselves in front of the photo booth and watch themselves on a large screen. That screen will now also display 3D and 2D characters, props, and backgrounds in which users are able to both move and interact with as if all of the above actually exist in real life. More importantly, it’s the user’s movements that trigger actions and control the overall experience. The user is the center of attention. AR photo booth software allows all this without making use of a green screen – famously used in the silver screen industry for the application of special effects. The booth can then snap pictures – that can be printed on the spot – or even create a short video which can be shared through different social media platforms or third-party apps. It doesn’t have to be a solo experience either, the software can detect multiple faces, adding more possibilities and fun to the experience. You can also add engagement analytics & gaze detection software to track the audience’s response and engagement to digital content through a camera in a robust, non-intrusive manner. Being able to detect emotions, track attention and convert the full emotional spectrum to data is an edge that few could afford to neglect. a brand projecting items of the latest Spring/Summer collection directly on the user as if they were wearing it. Jewelry, eyeglasses, headwear or accessories. an airline promoting its most recently added connection by virtually placing the traveller in an exotic setting, perfect for that wanderlust inspiring picture. a makeup and beauty product retailer AR mirrors that allow users to virtually try on tones, shades and styles they wouldn’t dare otherwise. The applications for AR photo booth software can be adapted to any theme of choice such as seasonal festivities, theatrical releases, and sporting events, to name a few. AR photo booths are innovative tools for making lasting impressions at exhibition stands, corporate events or an interactive museum. I want a mirror photo booth, how can I get one? There are a few ways to get an AR photo booth to run a campaign on. 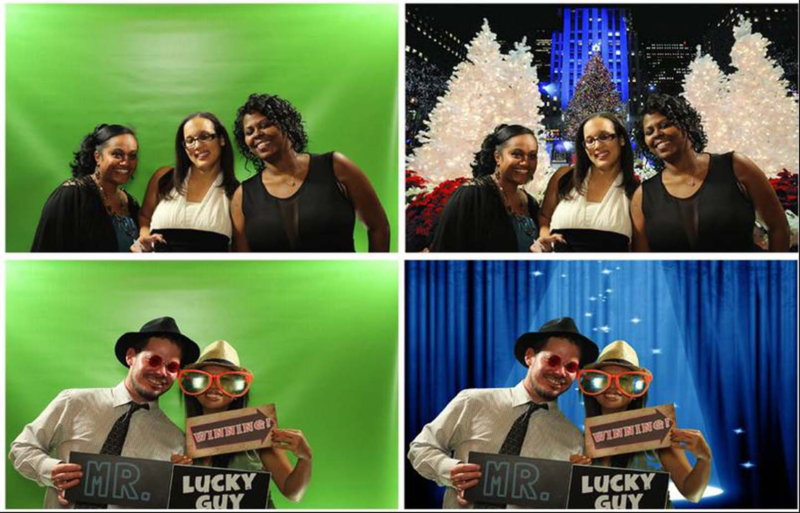 Most photo booth companies provide packages or agree on the prices for a certain number of hours and items you choose. Depending on what your business needs are, a bespoke solution comprised of both hardware and software may be the way to go. Alternatively, the hardware can be sourced from your local vendors for keeping the transportation costs low while the software part that enables AR photo booth experience can be assembled separately. Depending on the way you choose, the total price may vary. 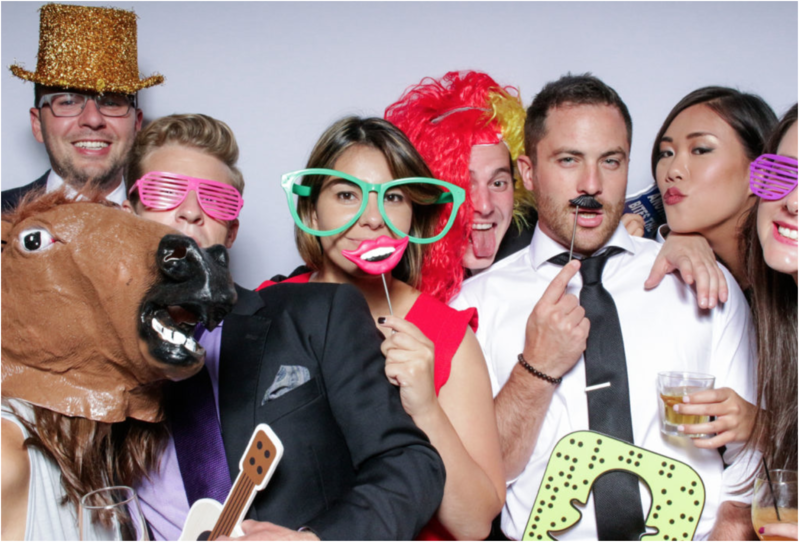 If you're a brand looking to rent a photo booth for a couple of hours, the cost may start at 100$/hour. If you're a company looking to place multiple AR photo booths at store chains for long-term, you may consider AR photo booth software providers first. It's the software part that plays a major role in your business case as you need a quality solution that can be updated or enhanced in the long run. In that case, you're charged based on a license or installed items. The Banuba AR photo booth software allows marketers and photo booth providers to build highly-interactive augmented reality experiences available on all platforms. You can create either realistic virtual try ons to advertise products or magic filters that promote your brand, event or organization. Such features like multi-face tracking and gesture control add a lot of fun — try filters with friends, control the experience with your hands, play AR games similar to Snappables, and share amazing moments on social networks. Almost seamless integration of digital displays with real-world scenarios and locations enables users to interact with your brand and become actors within a storyline. The approach is made from the product side, with the experience and results at the forefront. This makes for a more sophisticated AR experience, with considerably more depth than the run-of-the-mill selfie filter. AR photo booths are a great way to give your out-of-home advertising campaigns a new breath. You can transform ordinary objects and settings like a bus stop, billboard or photo booth into a dreamlike experience. Interactive and highly-customizable, the experiences keep users at the center and tell the story about them. And people love that. Need AR photo booth software to take your out of home advertising to the next level of digital marketing? Get in touch!